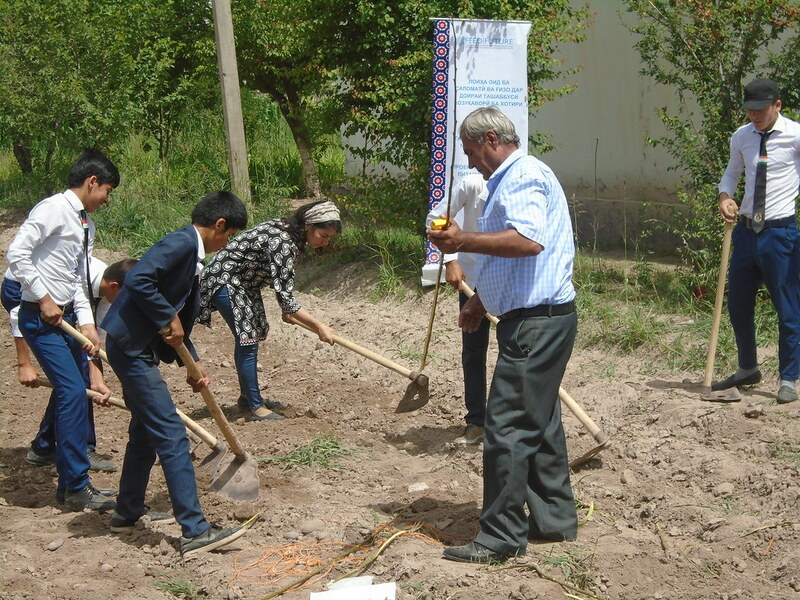 CIP together with FTF partner THNA project inmpelemted by IntraHealth, has started implementation of an education modules as part of SUPW (Socially Useful Productive Work) in schools of in Khatlon province. Two Nutrition Gardens have been established at two schools in May 29-30, 2018. The demonstration plots of sweetpotato production have been established in school #16, Jomi district, and school #11 in Dusti district. The promotional animation on orange flashed sweetpotato (OFSP) has been presented to children and training was provided in the morning session.